It took Edwin Tello and Elizabeth Sotelo 18 long years to get pregnant, but when they did, their twin babies came into the world too soon and left it too quickly. Both twins were cared for in the neonatal intensive care unit (NICU) of the private Clínica San Pablo in Lima, Peru, after they were delivered there by emergency C-section 34 weeks into the pregnancy. One died a few weeks later from septic shock after contracting a hospital-acquired infection. The other lived longer, but during a third surgery to treat gastric perforations, she sustained burns on 40 to 50 percent of her body after the thermal blanket underneath her malfunctioned. She later tested positive for the same intra-hospital infection and died at 18 months. Tello and Sotelo filed a formal complaint with government authorities and banded together with the parents of other San Pablo NICU babies who had died — some of them after contracting the same bacterial infection — in the months before their babies’ deaths. San Pablo denied any wrongdoing. Even in the best-run hospitals with strict adherence to recommended protocols, premature babies with weak immune systems die from bacterial infections. But when government inspectors arrived at San Pablo after the complaint was filed, they concluded that the neonatal and pediatric ICUs were overcrowded, understaffed, and insufficiently isolated from one another. They found that the clinic lacked a control and prevention plan for intra-hospital infections, did not do epidemiological monitoring, and suffered lapses in record-keeping. Lacking the needed data, the inspectors couldn’t determine whether there had been an outbreak in the ICUs, but authorities found sufficient grounds to order the ICUs’ temporary shut-down in March 2014. Just before Mother’s Day that year, the mothers of seven babies who died at San Pablo held a candlelight vigil on the sidewalk outside the hospital. The events of early 2014 would prove to be a turning point for San Pablo, the flagship institution of a private group of nine Peru hospitals founded in 1993. After the ICUs were reopened, Dr. José Álvarez Blas, the clinic's founder and general manager of the San Pablo Group, paid the nation’s health superintendent a visit at her office. “They were very concerned with the problems that had occurred and they wanted to show their commitment to making a change and to working arduously on patient safety,” recalls Dr. Flor de Maria Philipps, who previously had worked as an administrator of the San Pablo Clinic. Philipps was especially assured by a particular decision that Álvarez Blas shared with her: San Pablo was going to seek accreditation with the Joint Commission International. 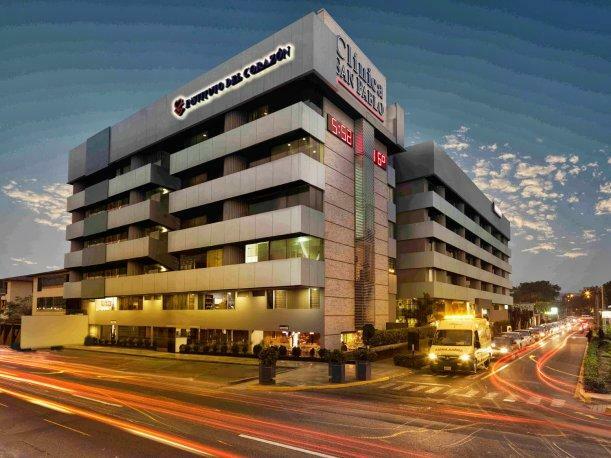 One of the first steps San Pablo’s management took was to call Daniel Alvarez (no relation to San Pablo’s founder), who at the time was an analyst for the JCI accreditation project at Clínica Internacional, another private hospital group based in Lima. Just a few months before, Clínica Internacional saw two of its hospitals achieve JCI accreditation — only the second and third institutions in the country to do so. Now San Pablo wanted Daniel Alvarez to help it do the same. Against the advice of colleagues who warned that San Pablo wasn’t up to the challenge, he agreed. San Pablo’s management had set a goal of achieving accreditation in 18 months, but Daniel Alvarez felt the task required 24 months at a minimum. And though management told him the staff of 1,000 would quickly get onboard with the ambitious endeavor, he discovered at a first staff meeting that most of them had no idea what the process would entail other than being certain the goal was unattainable. Álvarez Blas recalls that there was a lot of resistance to the project, particularly among the nursing and medical staff. Many of the complaints revolved around the increase in paperwork that running an accredited hospital would involve. He recognized that nursing and medical staff didn’t want to hear how they should be doing their job from an administrator like himself. So he encouraged the staff to take charge of the process, so that he himself wouldn’t be directly dictating change to the hospital. He also took advantage of the fact that the JCI process is less prescriptive than the U.S. Joint Commission process, to accommodate the fact that different countries and cultures may need to accomplish the same goals in different ways: The process specifies what needs to be achieved, but leaves the “how” open to each hospital. “We said to the doctors, ‘This is what we need to achieve, you tell me what the best way to achieve it is,’” Alvarez remembers. There were some holdouts, including two longtime staff doctors whose resistance was so unyielding that they were ultimately dismissed. According to Álvarez Blas, they objected to the paperwork, the number of meetings they had to attend as part of the preparation, and changes they would have to make in how they managed their offices at the clinics. One of the doctors who was let go, a surgeon, didn’t believe in the efficacy of the surgical safety checklist and didn’t want to use it, an attitude Álvarez Blas deemed unacceptable. Álvarez Blas believes the fact that San Pablo is a family-owned and -operated clinic helped with the process of cultural change. “My family made the decision,” he says. “So the doctors knew it was serious.” Álvarez Blas says the clinic invested some US$1.3 million dollars into the project and much of it went toward changes to infrastructure, which included everything from raising the banisters on a staircase to remodeling operating rooms. According to Dr. Carlos Calle, the deputy general manager of San Pablo who directly managed the accreditation project, the biggest change wrought by the process has been the standardization of processes and methods of treating patients. As with most Peru hospitals, few standardized, hospital-wide processes had been in place at San Pablo. Calle notes, for example, that the use of a pre-surgery safety checklist isn’t standard practice in Peru hospitals, but it’s now routine and obligatory at San Pablo as a result of the accreditation process. It was also common for San Pablo surgeons to bring their own medical equipment in their doctor bag to the hospital for surgery. Now, if they insist on using their own tools, their equipment must pass through a long and rigorous process of review and preparation before it can be used. On the nursing side, there had been no written individual patient nursing care plans. “They used to do it in their heads,” Calle says. Now when nurses begin their shifts they write out plans for each patient. There were also significant changes in how drugs and fluids are handled. For instance, previously at San Pablo — and still common practice across Peru — IV fluids were prepared on each hospital floor. Now all drugs at San Pablo are prepared in the central pharmacy. Calle notes it was a long list of small changes that, when put together, created a massive shift in how the hospital is run. Álvarez Blas says the 2014 NICU events weren’t what triggered the decision to seek accreditation. He says the clinic went ahead with the process because competing healthcare facilities had begun pursuing JCI accreditation and he feared San Pablo would look less leading-edge in comparison. Regardless of the motivation, the process has made a big difference at San Pablo. That’s especially true in infection control. Dr. Jorge Gomez, an epidemiologist hired as the hospital’s first director of infection control and prevention after the death of the Tellos twins, says that it wasn’t until the hospital’s top management decided to pursue JCI accreditation that he was given the resources and hospital-staff cooperation needed to bring about change. Gomez says that the rate of hospital-acquired pneumonia from ventilators has been cut in half by JCI-mandated processes such as hospital-wide improvements in hand-hygiene practice compliance, which has jumped from 50 percent to 90 percent, and the use of more sophisticated ventilators. In addition, the hospital built its first negative pressure isolation room. It was an emotional journey, says Daniel Alvarez. Nerves were on edge, he says, as the staff approached the September 2016, 5-day JCI “survey” that would determine their success in achieving accreditation. When at the end of the survey the JCI inspectors announced they would recommend accreditation, Alvarez says he and others burst into tears. JCI is widely considered to be the most rigorous and respected international accreditation in the world. Other doctors in Lima, along with parents who lost babies at San Pablo, seem surprised that the hospital was able to achieve that accreditation, and some even questioned its legitimacy. Philipps notes that the challenge for a hospital isn’t so much earning accreditation as it is keeping it. She likens the process to binge dieting to fit into a wedding dress, with the pounds coming back after the big day. Calle agrees that accreditation is simply a milestone, not a complete solution in and of itself. But he insists the hospital isn’t resting on its laurels. Pointing to the JCI certificate hanging on his office wall, he says the hospital is hard at work on all their key compliance indicators because the JCI will need to see improvement — not just the status quo — when the inspectors return in 2019. “JCI will be coming back here then whether we call them or not,” he says. Catherine Elton is a freelance journalist and business writer based in Lima, Peru.